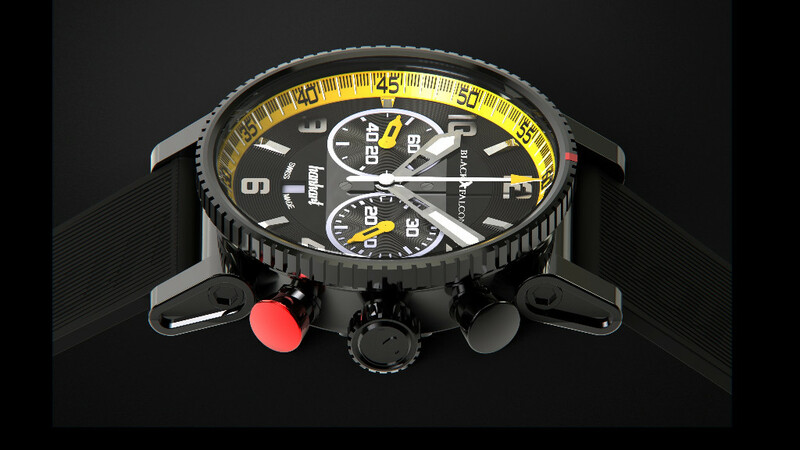 The new limited edition — created by Black Falcon, the young motorsports company currently celebrating both national and international success, and the luxury watch manufacturer Hanhart. 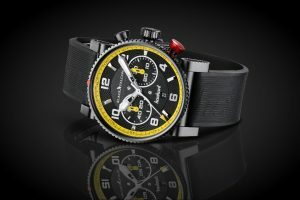 For racecar drivers, adrenaline junkies, car lovers, or the modern man with a need for speed. 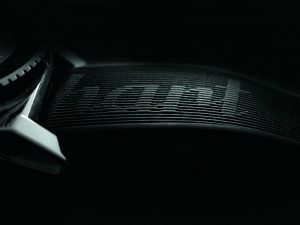 The fusion of Black Falcon’s progressive design and technology with Hanhart’s more than 130 years of tradition offer unmistakable sportiness and maximum wearing comfort. 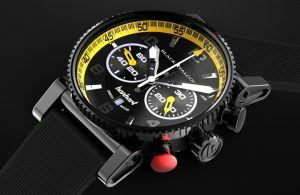 The Black Falcon PRIMUS Race Winner is a very special chronograph, dedicated to the Black Falcon team’s many first-place victories in international motorsports.